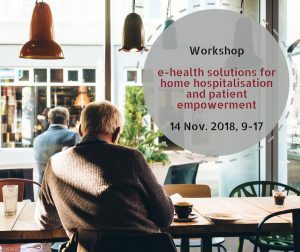 PICASO and POLYCARE invite you to a workshop on e-health solutions for home hospitalisation and patient empowerment. Are you a clinical worker, patient organisation, member of a self-help group or a developer of e-health solutions? Then join our workshop to exchange experiences and approaches for the provision of technology solutions that improve the cost effectiveness and sustainability of healthcare services. The demand for remote provision of healthcare services has increased in recent years due to many factors, such as the rapid growth of the elderly population in the EU linked together with better quality-of-life standards. Cost-effectiveness of these services therefore becomes a top priority for European governments to improve the sustainability of the European healthcare systems. POLYCARE and PICASO are two running Horizon 2020 research projects, researching and developing different e-health solutions covering different aspects of integrated care. The POLYCARE project aims to provide an integrated care system for chronic patients to achieve a high quality home hospitalisation environment. This is achieved through a set of customisable apps and a nonintrusive monitoring system, which obtains information about the patient’s vital signals. Through this system, a better collaboration between the different clinical actors is achieved, while at the same time the patient is empowered to manage her own health. The PICASO project is developing an ICT platform to support a better coordination of care plans between different clinical institutions and care providers for people with comorbidities. PICASO aims to develop ICT platforms which meet this objective by supporting a continuum of care from hospitals and outpatient clinic to the home. The PICASO platform will enable the sharing of a patient’s complete care pathways with tools to establish health status, predict risks and adjust care. Based on monitoring of different physiological parameters at home, the patients can actively participate in their own care. Development and deployment of security layers within cloud solutions that guarantee privacy and safety of the patient data, while enabling the coordination of services between different clinical and care providers. 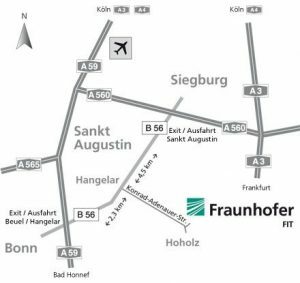 Parallel to the workshop, live demos of running prototypes will be shown.